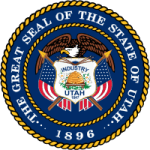 With the help from the department of human services in Utah there can be a way to start receiving payments from the noncustodial parent. It helps guardians and custodial parents to get the necessary help from their children from the noncustodial parents. With the rights of children being taken into consideration, they are obligated to make sure that their children get the support they need. It starts with filing a complaint in the case of default in payments. Step 2: Fill in the form from section 1 to section 11.